*Fabric : lawn or cotton? 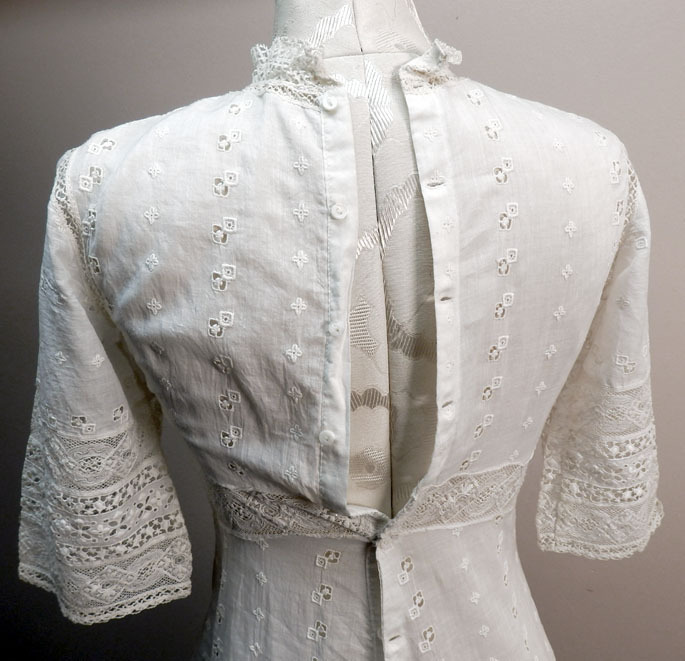 *This is an antique dress, another from the estate of a Civil War Generals family. This is a white (could be if bleached) lawn tea dress that is made with lots of lace. The dress has back buttons but was too small for my mannequin, none are missing. 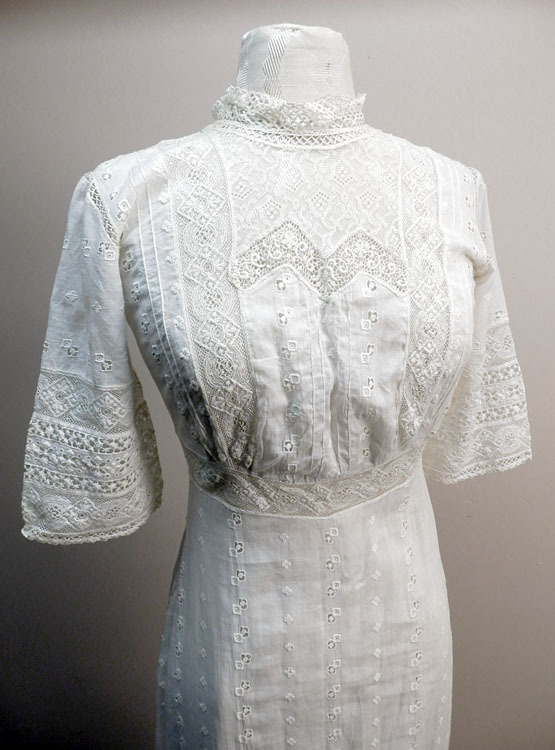 The seams at sleeves are open lace, standing lace collar, very beautiful. Thin fine fabric, probably lawn. No holes or stains were found. It is not bright white, it has not been washed or bleached. 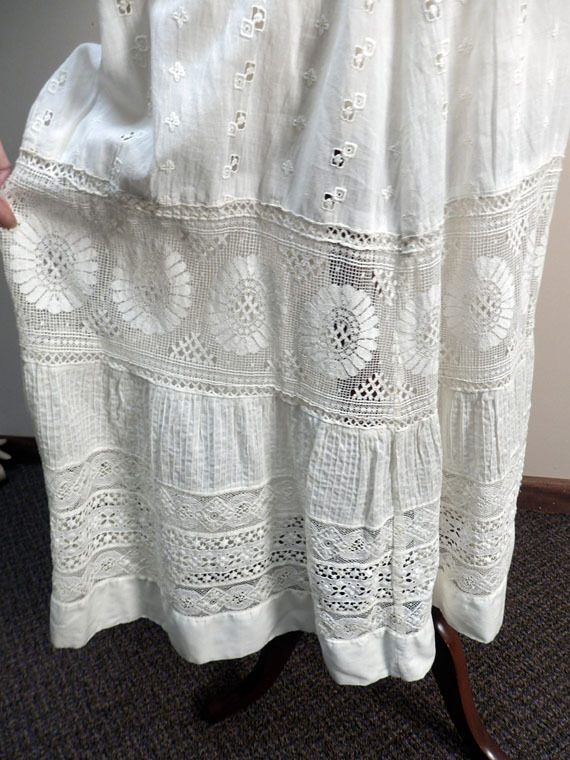 For some good information on the hobble skirt, just click the link. Based on the waistline, neckline, and the narrow band of lace around the bottom half of the skirt, I'm putting this around 1909/1910.